It's time for the New Product Launch! All the Stamps, Die-namics, and Stencils can be found HERE. 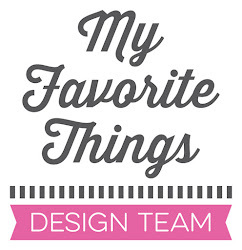 Please remember to visit each of the MFT Designers' February New Product Launch posts on the MFT Blog and leave a comment by the end of the day on Thursday, February 8 for your chance to WIN one of two, $100 Gift Vouchers. Ready? Set. Comment! We've got a party happening here today! 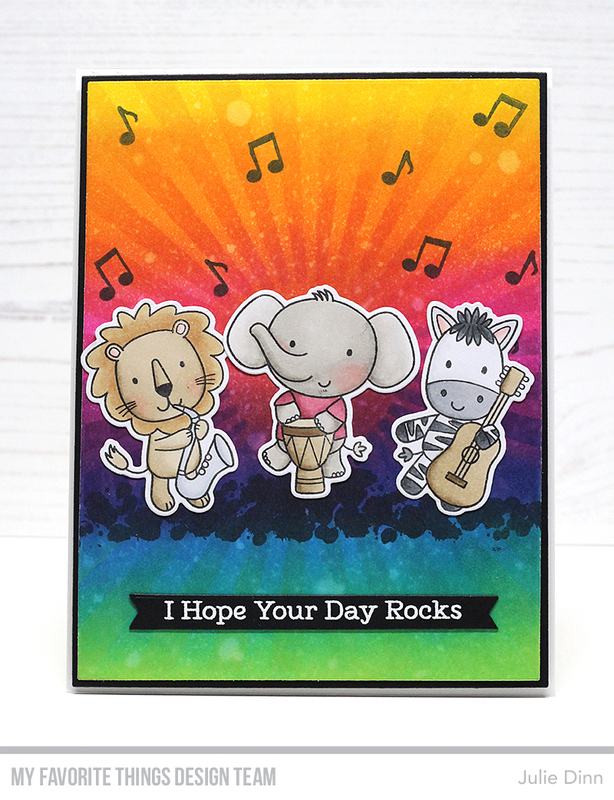 The new Jungle Vibes stamp set is full of rocking images and fabulous sentiments. I created the background using the Radiating Rays Stencil and a handful of Distress Inks. I grounded the images using a stamp from the Distressed Patterns stamp set. I love this stamp set! :D Great card! I like your idea of using the radiating stencil that way. It really shows the "music" to your card. Love your cute trio of rockers! Great sunburst background. Your BG is spectacular but not overpowering for your cute characters...perfect! Beautiful bright card, love the rainbow colours! Wow. What amazing colors. Awesome. Your background makes the jungle animals pop. Great card! What a fabulous background, a very vibrant and happy card, looks great! Such a cute card, and your background is amazing! I just love the Jungle Vibes set. Wow! Wish you liked vivid colors! Your card is just one amazingly fun party!! those critters are just too cute. I love your bright, cheery card! They are having too much fun! Super cute card! Oh my, how adorable this is!! Love your coloring and that amazing background! New critter images are always welcome. This release is packed with adorable critters. Wonderful card, I can just imagine the recipients delight. So cute and fun filled with amazing color!!! What a fun, happy card! Love that rainbow ray background! Love the musical animals....your card is a beaut. So cute, love the music notes. Love your rocking party animal scene! Adorable card! 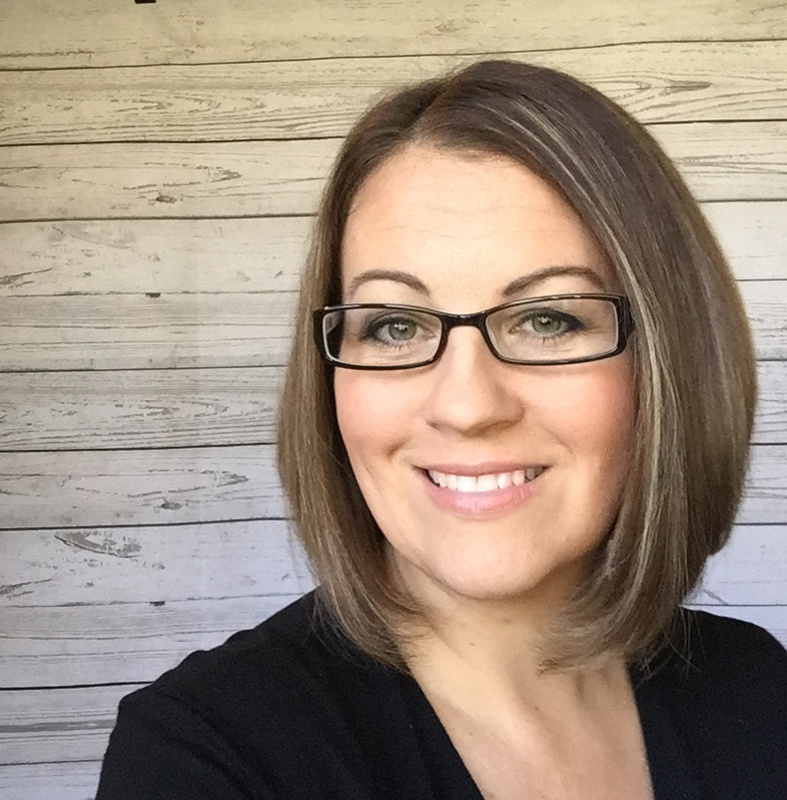 Awesome new products! What a happy fun card...love it!!!! Wow what a fun card! Your rockin' background is just fabulous for these musical critters!! Adorable! Love the musical notes in the background. Love these rockin' musical animals. Joyful colours, a great fun card! I love this bold bright card! Really nice background. Great card. Fun stamp set. How cute!! And what a fabulous background. Aw, your card is so cute. I have to agree that the background is pretty awesome. What a fabulous card. Your background is stunning. Now THAT is a party! I love the super-bright background behind those musical animals for a couple reasons: 1) I really love that stamp set and 2) the bright background makes the more neutral animals really stand out in such a fun way. Also, this is a perfect gender neutral card, which is great, because I always need those. Thanks for the great ideas! Pretty background on your adorable card! Reminds me of an 80's band with all the neon bright colors. Very cute. What a gorgeous card, I especially love the background! So much fun! My daughter would love this! Love you're way of making the background. Beautiful card! I love the background stencil work. These cute creatures rocking out make for a perfect card. So cute! Love those cute animals & the great background! The saying is perfect. This would be a really good card for my nephew's bday! Fabulous card! I love how bright and cheerful it is! Love that colorful background, so perfect for those rocking critters. so fun... the that cool background!! OMG, this is Fabulous! The colors are so Bold and Radiant! Bravo on use of the MFT products! Beautiful fun card! Love the colours! I'm seriously considering this stamp set. I just adore the zebras in it. Thanks for sharing your card. So fun and joyful! What a great card! Rocking card for a rocking release!